and open southwards. The soil of the eastern side is of marl-calcareous composition while in the western side a modest stratum of agrarian soil covers slabs of calcareous stone. temperature of 18/20°C for about 3 weeks. These tanks are right to increase the contact between grapes skins and must. 2° fermentation called “ripasso”: It begins in March. The wine is drawn and refermented on the pomaces of Recioto and Amarone. This pomaces have a good sugar content that with still active yeast, make the wine refermented. In this wine there is an addition of raisins. 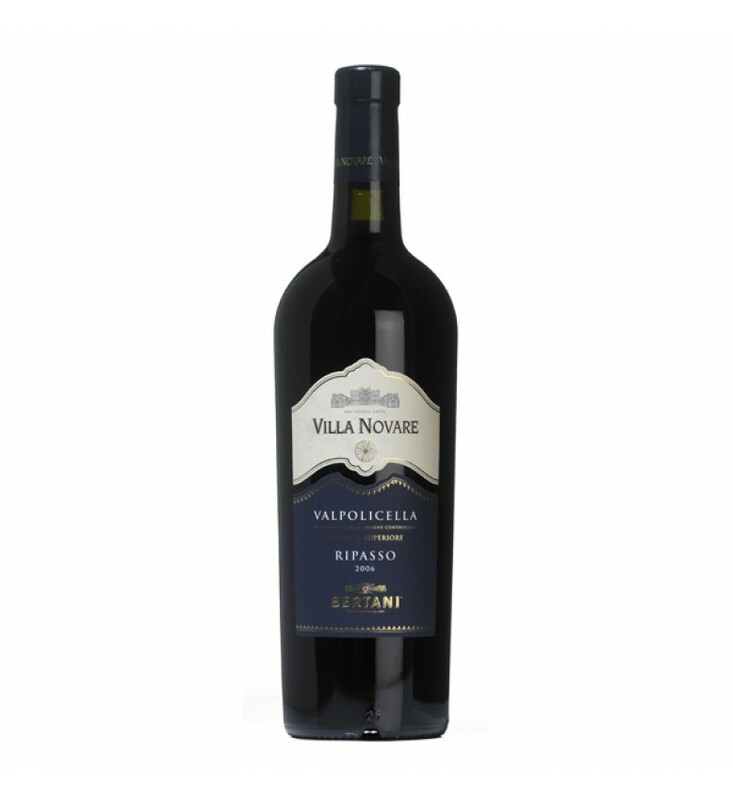 This involves an intense refermentation of Valpolicella at low temperatures of 15/18°C for about one week. It ages in Slavonia oak casks, of 8 to 30 hl capacity,for 15 months. Purple red intense colour. At the nose scents of plum, cherry and black berrieswith a sweet spices and chocolate. In mouth is full, soft with flavour of red fruit and liquorice; sapid and spices in the lasting taste.